Try Out Text2Give from OneCause! Text-to-give (also referred to as text giving, text-to-donate, and Text2Give) enables donors to make donations right from their smartphones, using their phones’ native texting application and web browser. It’s a quick and convenient giving channel that donors can use to support their favorite nonprofits at anytime, from anywhere. Text-to-give is an ideal donation channel, since donors can give whenever the fancy strikes, using a device they’re already familiar with. Nonprofits use text giving for everyday fundraising, as well as during auctions and other events to accept donations for live appeals. Churches also implement text-to-tithe during services! Text-to-give is simple! Donors simply text your nonprofit’s unique keyword to the short-code provided by your vendor. From there, your supporters will receive a link that provides donation amounts and information about your campaign. Then, they can make a donation with their credit and debit cards. The entire process only takes minutes to complete. FREE BONUS: Download our FREE Text-to-Give Starter Guide! Learn everything you need to know about text-to-give with this helpful, insightful guide! Donors will initiate the text-to-give transaction by texting the pre-selected keyword you chose to your nonprofit’s shortcode (a shortened phone number used to direct the transaction to you and your service). The keyword will indicate which campaign the donor wishes to allocate their contribution to. As confirmation of their text, the donor will instantly receive a response text message that includes the link to a mobile-friendly donation page associated with the campaign they selected. They can use the online donation form to indicate their donation amount and fill in their payment information. With some services (like OneCause! ), the donor will even have the option to pledge their donation and fulfill it at a later date. Step 3: Complete the Donation! Once the donor has filled out the form with all of the necessary information, all that’s left is to press the “Give Now” button and submit their donation! After they’ve given, they should automatically receive a confirmation email in their inbox that includes a donation receipt. Your nonprofit should be able to customize the follow-up and include an acknowledgement if you so choose. Text to donate software is one of the most convenient donation channels out there! With robust text-to-give software, completing a transaction usually takes as few as 2 or 3 clicks. Donors can submit their gifts in minutes. And you know what that means! More convenience equals more donations. If your organization has implemented text-to-give, the potential to donate is right in your donors’ pockets! In other words, this channel meets donors where they are, through a platform that they use daily. Since the learning curve is so low, text giving should be relatively intuitive to your donors, and they should be able to start using it almost immediately. With text giving, donors no longer have to log onto their computers, mail in a check, or attend an event to make a donation (although one would hope that they still would!). Instead, they can make a donation from anywhere, the instant the urge hits—granted that they have cell service, of course. Since the possibility to give is so immediate, donors will be more likely to follow through once the fancy strikes! Text-to-give isn’t just convenient for donors; it’s super convenient for nonprofits, too! Since donors are able to give so quickly and many services deposit funds directly into your nonprofit’s bank account, your organization will have a shorter turnaround time for receiving funds. Having those funds in your bank account sooner means you can start enacting change sooner. Text-to-give services can help you capture important donor data, such as names, payment information, and other insights. You can then integrate your text to donate software with your CRM, so all donor data you collect is automatically recorded in donor profiles for future reference. Collecting donor data is a much more seamless experience with text giving than it would be with offline giving channels, since manual data transfer is minimal. Seeing as mobile is so prevalent, many of your supporters likely prefer engaging with you over their phones. 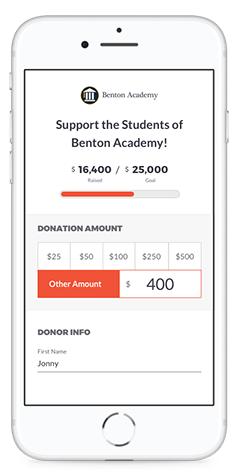 Text-to-give allows your donors to interact with your organization over mobile at the pinnacle of nonprofit engagement: making a donation! Implementing text donations can give your fundraising strategy more variety and help you appeal to more of your donors’ giving preferences. Build mobile-responsive donation forms that are unique to your organization by customizing logos, fields, and gift amounts (you can even allow your donors to pledge and give at a later date!). Display a thermometer showing donors how close you are to meeting your fundraising goals to encourage even more giving! Select a custom keyword that’s unique to your nonprofit, so there will be no question that donors are sending their gifts to your organization. With many advanced text-to-give packages, you have the option to choose multiple unique keywords to give donors the option to allocate their gifts to different campaigns! With text-to-give scoreboards, you can track your donations in real-time and display fundraising thermometers, so you and your donors can easily visualize the progress you’re making toward your goals. You even have the option to feature donors’ names and give them a little extra acknowledgement during your next fundraising event! Automate email acknowledgements and donation receipts to send out directly after donors have completed a text-to-give transaction. With this feature, your organization has one less thing to worry about, and your donors always have the peace of mind knowing that you’ve received their gifts. Text-to-give software should seamlessly integrate with your nonprofit CRM. If integration with your donor database isn’t supported, you can easily export detailed reports on the donor data you collect from text-to-give as .CSV files and import them into your CRM for future consultation. Process all transactions you receive through text donations quickly and securely. Your software should enable you to accept most major credit and debit cards. PCI-compliant processing means you and your donors can rest assured knowing that sensitive information will always be safe. Many organizations are hesitant to get started with text-to-give, because they have misperceptions about how much it costs. They’re afraid they’re going to have to spend thousands of dollars on a shortcode, not to mention the actual costs of the software, payment processing fees, and other expenses. While some services might cost an arm and a leg, text-to-give software is actually pretty affordable on the whole. Vendors offer multiple price levels to accommodate a range of budgets. For example, Text2Give from OneCause starts as low as just $495/year. Text giving is a relatively new and technologically advanced donation channel. Many organizations are hesitant to purchase it, because they think that only younger donors (millennials, in particular) will use it. Since many organizations have an older donor base that they believe won’t use text to donate, they worry that it won’t be a sound investment. Surprisingly, the main text-to-give demographic isn’tmillennials! The typical text-to-give user is actually a woman between 49-59 years old who has a college degree. That being said, almost everyone owns a smartphone and uses it to text on a regular basis. Chances are that text donations would be easy to use and convenient for many of your donors, no matter what age they are! It once was the case that many text-to-give services would charge donors by tacking the donation amount directly onto their phone bills. Since donors had to receive and pay their phone bills before their donations could be completed, funds could sometimes take 90 or more days to hit the nonprofit’s bank account. Many organizations still have lingering misconceptions from earlier versions of text-to-give software and worry that it will take weeks, if not months, for them to receive the donations they collect through this channel. Luckily, since text-to-give has become more prominent, the way it functions has changed significantly over the years (at least, for most vendors). Now, instead of including donations on a donors’ phone bills, many services deposit funds directly into the nonprofit’s bank account. That means that the time it takes to receive donations has been cut down significantly. In fact, with Text2Give from OneCause, funds can be deposited in the organization’s bank account in as little as 2 days after the transaction! Text-to-give services that include the donation amount on the donors’ phone bill also presented another downside for organizations. Since donations were going through the carrier first, the service provider would often take a percentage of the donation as a convenience fee. Organizations were receiving only a portion of the funds they raised, adding on yet another cost that deterred many nonprofits from getting started with text donations. Now, most text-to-give services deposit the funds directly into the nonprofits’ bank account as opposed to lumping donations in with the donor’s phone bill. That means that the cell service provider won’t even see the donations, and your organization won’t have to worry about splitting your proceeds with them. With modern forms of text giving, your organization will be able to keep more of the funds you raise to put toward the amazing work that you do! In earlier forms of text-to-give, donations were often capped at a mere $5-$10. Many organizations still believe that this is the case and don’t think it’s worthwhile to invest in a donation channel that can only be used to give such small amounts. Now, most services allow you to collect donations of all sizes with text-to-give! Since you can customize the donation form where donors land to complete the transaction, you can set gift amounts wherever you’d like. Donors can even enter their own! If you’re working with a service who’s PCI-compliant, your text-to-give software should be secure. To refresh, PCI-compliance speaks to a set of security standards set out by the Payment Card Industry. Software that is PCI-compliant adheres to these standards and maintains the utmost level of security. When shopping for text-to-give software, it couldn’t be more important to work with a vendor who is PCI-compliant. If they’re not, your supporters’ sensitive information could be put at risk, and your organization could be hit with fines or penalties. +-Can we contact our donors through text-to-give? Donors must initiate the text-to-give transaction. In other words, text giving software does not allow your organization to contact donors through text message. To do so, you would need to use a text marketing service (similar to your email marketing software), which allows you to build a permissions-based list and contact supporters in bulk over text. However, you can automate email acknowledgements and receipts to send out with text-to-give directly after donors have completed the transaction. Not to mention, you can easily collect the donor data you receive to stay in touch through other channels! +-What payment methods can we accept? The payment methods you’re able to accept with text-to-give will vary between services. You should work with a vendor who offers plenty of options, so you can provide your donors with the most flexible and convenient donation experience. +-Are text donations tax deductible? Many donors are incentivized in part to give to nonprofits because of the charitable tax deductions they can receive. We’re happy to tell you (and those donors!) that, since they’re charitable donations, text-to-give transactions are tax deductible. The same guidelines that apply with donations made from other channels also apply to text giving. So, if your nonprofit can’t accept tax-deductible donations through other channels, you won’t be able to accept them through text donations either. +-What payment processing fees are associated with text-to-give? As with the payment methods you can accept, the payment processing fees you incur with text-to-give vary by vendor. Almost all text-to-give software includes payment processing fees of one kind or another. Most of the time, you’ll incur both a flat rate per donation and a percentage of each gift. Of course, some services have more affordable payment processing fees than others, so this is something you’ll definitely want to consider and factor into your budget as you’re shopping for text-to-give software. Some text giving vendors (like OneCause!) will even give donors the option to cover the fees themselves. Because they know their money is going to support a cause they care about, most donors will do so! +-What donor information can we collect? The donor data you’re able to collect from text donations depends on which fields you choose to include on your mobile donation form. Just keep in mind that when it comes to online and mobile giving channels, simplicity is key. You want the donation process to be as short and sweet as possible to increase the chances that your donors will see it through to completion. Email addresses, mailing addresses, and phone numbers. You’ll also know that these donors likely enjoy engaging with you through mobile! While this might seem simplistic, it’s a great starting point. You’ll have everything you need to get in touch with text donors and start (or keep!) building those relationships. Shortcodes are shortened versions (usually around 4-5 digits) of standard phone numbers that donors use to direct their donations to a nonprofit. Using shortcodes is advantageous because it’s quicker and there’s less room for error. Plus, they can handle a higher volume of texts, allowing donors to receive an instant response. Tokenization is a security measure used by many text-to-give services to reduce the chances that sensitive data could fall into the wrong hands. More specifically, it is a process by which sensitive information (i.e. payment info) is replaced with a non-sensitive piece of code that can only be unencrypted by the payment processor. PCI-compliance refers to a set of security standards set out by the Payment Card Industry to help keep donors’ confidential information safe. Text-to-give services that are PCI-compliant adhere to these standards. If your software isn’t PCI-compliant, your organization could be faced with fines or other penalties. A keyword is a unique, preselected word that the donor texts to the nonprofit’s number to indicate that they would like to make a donation (for example, “DONATE”). Using keywords helps distinguish between different projects and campaigns or even organizations, if multiple nonprofits are using the same shortcode. Of course, your organization will need to find text-to-give software that fits your budget. Keep in mind that the price listed on the vendor’s website doesn’t always reflect the true cost. You also might need to consider payment processing fees, support, and other expenses. Make sure to ask your vendor to walk you through all costs. As we’ve touched on throughout this guide, security is of the utmost importance when it comes to text-to-give software (and any donation channel, for that matter!). You should be working with a vendor who is PCI-compliant to ensure your donors’ sensitive information is safe and that you’re adhering to security standards. Ideally, your organization should be working with a text-to-give vendor who provides a short turnaround time for receiving funds. Look for a provider who deposits donations directly into your bank account, as opposed to one who tacks donations onto your donors’ phone bills. To get started with text to donate as quickly as possible, you should work with a vendor who provides quick and easy setup. Additionally, you’ll want to find a service that minimizes the number of steps donors have to take to make a donation to maximize conversions. It’s important to be working with a text-to-give vendor who is easy to get in touch with and who addresses technical difficulties with minimal turnaround time. You vendor should also provide a robust support document to help you troubleshoot issues yourself. For a seamless data capture process, your organization will want to integrate your text-to-give software with your donor database, event planning software, or other platforms. See which integrations your vendor supports to help gauge if the software is right for you. 1. Text DONATE to 243725 to take a demo. 3. Make a donation (the card will not be charged). 4. Use the following sample credit card number to make your gift: 4539 3946 7369 4021 exp: 01/21. How Do Organizations Use Text-to-Give? Nonprofits commonly use text to donate to accept donations during all types of fundraising events. Text donations can particularly come in handy during the live appeal, a common event fundraising strategy wherein the organization makes an in-person request for donations to their event attendees. If you’ve implemented text giving, donors can use your text-to-give service to submit their donations instead of having to fill out paper pledge cards. To bring it to the next level, feature a scoreboard that shows progress towards your goals in real-time so donors can better visualize the impact of their gifts. Since texting to give is much more convenient than other in-person donation methods, your event proceeds should soar! Giving days have become all the rage in the fundraising world recently (here’s looking at you, #GivingTuesday!). Since these efforts are so condensed (just 24 hours!) nonprofits need a way to collect donations quickly. Furthermore, since they have so little time to contribute, donors need to be able to drop what they’re doing and give from anywhere once they hear about the campaign. Given that it’s one of the fastest donation channels and meets donors where they are, text-to-give is the perfect solution. Implement it for your next giving day, and you’re sure to see success! Text giving first came into popularity in 2010, when the Red Cross used it raise funds to help Haiti earthquake victims. The Red Cross’ Haiti Earthquake Relief campaign managed to raise nearly $490 million dollars, suggesting that text giving was a successful way to administer aid—and fast. 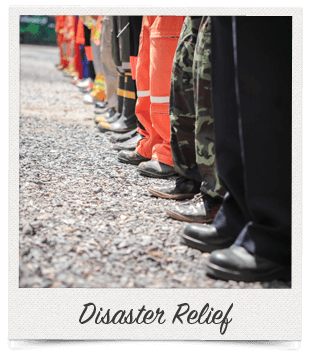 Nonprofits still use text to donate to help them with emergency relief efforts. Since the platform is so quick and convenient, organizations can raise a lot of funds and help those in dire need within a short amount of time, when it counts most! Text-to-give (referred to as text-to-tithe in the religious sector) has become increasingly popular among churches and other faith-based organizations. More and more churches are providing text giving as an alternative giving method during their weekly services. Instead of putting cash in the offering plate, congregants can simply text in their tithes, making the process more convenient. Not to mention, since many people don’t carry around cash anymore, using text-to-tithe during church service can open up tithing to a larger portion of the congregation. 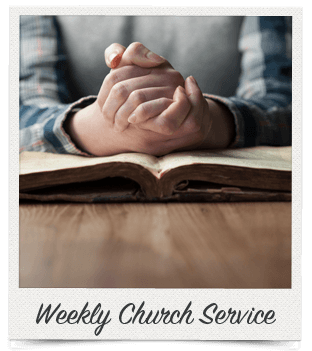 If your church would like to see more weekly tithes (and who wouldn’t?) consider offering text-to-tithe as an additional giving option at your weekly church services. Your organization doesn’t need a specific reason to implement text giving. It can come in handy for general fundraising, too! 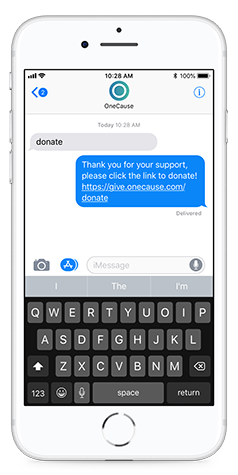 Many nonprofits make text donations a staple of their fundraising strategy, offering it as another standard donation channel that donors can use at any time, for any campaign or project. The advantage of using text to donate regularly is that it provides your donors with more variety when it comes to donating. The more giving channels you have open, the more of your donors’ preferences you can appeal to. When donors can give on their terms based on what’s most convenient for them, your gifts should skyrocket! +-Will our donor base be responsive to text-to-give? Since texting is one of the most common communication methods out there, chances are that at least a portion of your donor base would be open to (if not excited about!) using text giving. However, some organizations are more cut out for text donations than others. Before you make the investment, you’ll want to consider how responsive your donor base would be to a mobile giving channel. To figure out if text-to-give is right for you, turn to your donor data. By studying how your donors have historically engaged with your organization, you can get a better feel for their habits and preferences. If your donors have consistently interacted with you through other mobile and digital channels, there’s a good chance that they’ll be responsive to text-to-give! +-Will we be using text-to-give for a specific occasion or making it a regular staple of our fundraising? It’s important to figure out what you’ll be using text-to-give for before you purchase software or begin your campaign. If you’re making text-to-give software a regular part of your fundraising strategy, you’ll likely need to purchase a more expansive software package that includes multiple keywords and allocate more resources toward promotion and upkeep. On the other hand, if you’re only using text to donate for a specific effort, you can probably get away with using a more limited package. You will, however, still need to figure out how you’re going to incorporate text-to-give into that effort (for example, when and how will you promote it?). In either case, you should consider your needs and figure out how you’re going to make room for text giving in the areas where you’ll be using it! +-Who will head the text-to-give effort? Figuring out how to incorporate text-to-give into your strategies can be difficult, especially if you’re making it a regular staple of your fundraising. After all, you’re implementing a completely new donation channel. In order for it to be successful, it will take proper setup, strategic promotion, and regular monitoring of your performance. It can be helpful to assign a point person to be in charge of implementing and overseeing text giving. That way, you’ll have someone who’s consciously working to improve this effort and who can answer any staff or donor questions. Additionally, many services (OneCause being one of them!) will provide your organization with support when it comes to setting up your platform. You can simply fill out a form about your campaign, and your vendor will take care of setup for you! You’ll still need to do the legwork when it comes to promoting and implementing your campaign, but you’ll have one less thing to stress about. +-How will we promote text-to-give to our donors? How well you promote text-to-give has a huge bearing on how much money this donation channel will bring in. The difficulty with promoting text donations is that it not only takes awareness, but also basic explanation in some cases. Many donors have never texted in their donations before, so they need to know exactly which steps to take to use text giving. The more comfortable they are with how it’s done, the more likely they are to try it out! Before you offer text giving as an option, make sure you have a specific promotions strategy in place. You should figure out both where you plan to promote text-to-give and also how you can explain text-to-give in a concise and understandable way. +-How will we handle all of the new data we collect? Since text-to-give will be bringing in new donor data (potentially lots of it! ), it’s advisable to have a plan in place for how you’re going to handle all of the new data you collect. Luckily, many text-to-give services can be integrated with your donor database. If integration isn’t possible, it’s usually easy to export your text giving data in full and then import it into your donor profiles. To ensure that you don’t miss out on any valuable donor data, figure out how you’re going to collect data, how often you need to export it, and who will head this effort. The first step to incorporating text-to-give into your event will be finding a provider, if you haven’t selected one already. If you need a little help with this process, click on the title of this step to jump down to the section on choosing text-to-give software. Before the event, your organization should try out the text-to-give software for yourself. 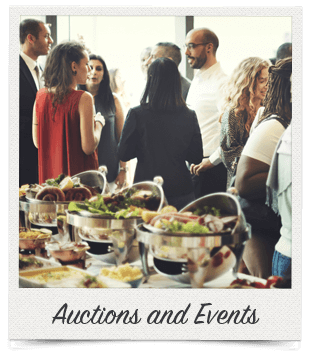 By knowing exactly how it works, you’ll be better able to explain text-to-give to your donors in your event promotions and answer any questions that arise during the event. If you want your donors to get on board with using text-to-give at your event, you’ll have to let them know it’s an option! In your promotions leading up to the event, make sure to tell donors about text-to-give and explain how they can use it at your event. One of the most common uses of text-to-give during fundraising events is to collect donations after a live appeal. Have one of your staff or board members get up and request donations from your guests. Spell out a clear goal and briefly walk guests through how to use text-to-give. Many text-to-give services come with a scoreboard that displays a fundraising thermometer, which updates in real-time as guests submit their gifts. Project your scoreboard after your appeal has been made to show guests how close they are to reaching your goal and boost giving! Even if you meet your fundraising goal before your auction or event is over, you should still encourage more giving after the event! Let guests know that text-to-give will still be available to them if they missed out on the live appeal or would just like to make another contribution after your event. Since you’re implementing an entirely new giving channel, it’s important to promote text donations to your donors. Take a multichannel approach to promotions that includes offline and in-person outreach, too. 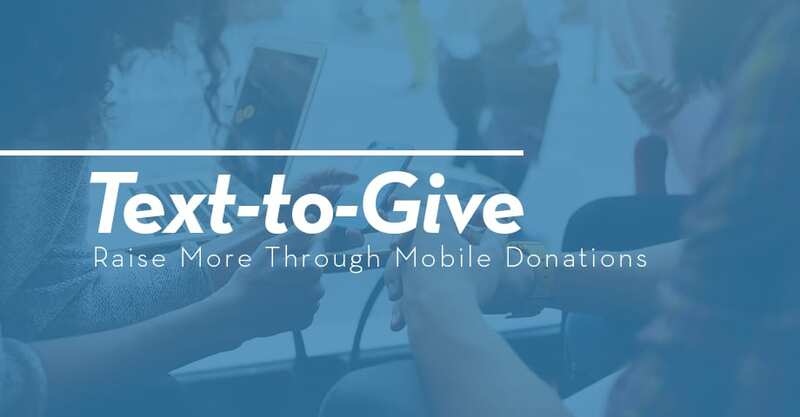 By promoting text-to-give through all channels, more of your donors will be aware of this giving option and able to give through it if they prefer mobile. Since text 2 give is a relatively new channel, many of your donors are likely unfamiliar with how to use it. You’re going to have some explaining to do! Any time you’re promoting text giving, briefly walk your donors through how to use it. When they understand how text-to-give works and know how to get started, your donors will feel more confident and comfortable using it to make donations! If you’re using text-to-give during a fundraising event or in another in-person setting, consider offering supporters the option to pledge. Accepting pledges will open up the opportunity to donate to more supporters (for example, those who left their credit cards at home). Most text giving services will even automate reminders so supporters won’t forget to make good on their pledges! Since they’re digital, text-to-give transactions can seem less tangible. It’s crucial to actively build trust with your supporters. Make sure to connect gifts with concrete results so that supporters know their donations are actually being put to good use. Send text donors an acknowledgment telling them specifically how their gift will be used, and give them frequent updates on your projects and campaigns. Another crucial part of retaining donors and building trust is showing your gratitude! Don’t forget to thank text donors so that they’ll know their donations have been received and are appreciated. You can automate acknowledgements using your text-to-give software, but you should still follow up with a more personalized thank-you within 48 hours after the donation. Not all text giving software is the same. Each service offers various packages, feature sets, and services. It’s important to do some research into text donations and different providers before you enter into the buying process. When you know what you need from both your software and your vendor, there’s no reason why you shouldn’t end up purchasing a solution that’s the perfect fit! Peer-to-peer fundraising turns donors into fundraisers by enabling them to set up campaign pages. Need some tips on peer-to-peer fundraising? Check out this guide! Accepting online donations is becoming a standard practice for all types of nonprofits. Need help knowing what to look for? We’ve got you covered! 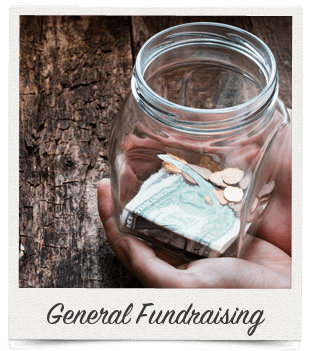 Everyone knows that fundraising events are great revenue generators! With our phenomenal fundraising ideas, you’ll never run out of creative and fun event ideas!